MOSCOW, July 6. /TASS/. 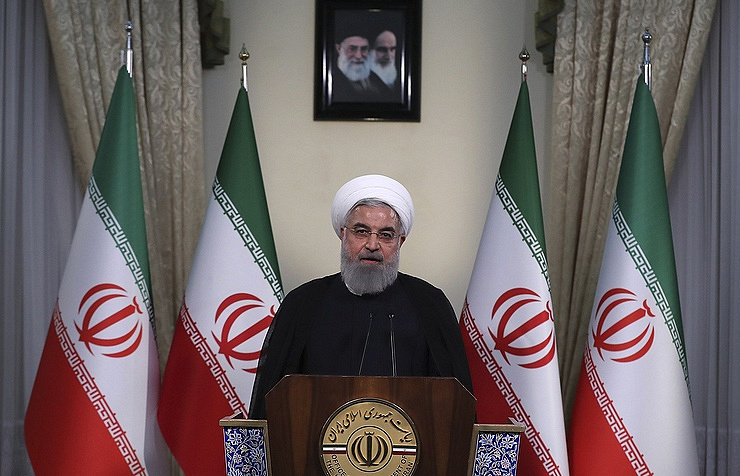 In a phone conversation with German Chancellor Angela Merkel on Thursday, Iranian President Hassan Rouhani described as "disappointing" the package of European proposals to save the Joint Comprehensive Plan of Action on the Iranian nuclear issue. "Unfortunately the proposed package lacked operational solution and specific method for cooperation, and featured just a set of general commitments like the previous statements by the European Union," the Iranian leader was quoted as saying on his official website. During the phone call, the German chancellor said that the discussion on details of the agreement should continue. "What is important is that we know and we are certain that we want to stay in the deal and we believe that dialogue should continue in peace," she was quoted as saying. Reuters reported later in the day that Rouhani also held a phone conversation with French President Emmanuel Macron. During the meeting, the Iranian leader told his French counterpart that "Europe’s package of economic measures to offset the U.S. pullout from the nuclear deal does not go far enough," the agency reported. "The package proposed by Europe ... does not meet all our demands," Rouhani was quoted as saying. The Iranian president expressed hope that this issue will be raised at the meeting of foreign ministers from JCPOA signatory states with Iranian representatives, due on July 6 in Vienna. Back on May 8, US President Donald Trump announced Washington’s decision to withdraw from the Iran nuclear deal (an agreement made in 2015 between Iran, the UK, Germany, China, Russia, the US and France) as, in his words, the agreement left Iran a possibility to create a nuclear bomb bypassing all the restrictions. 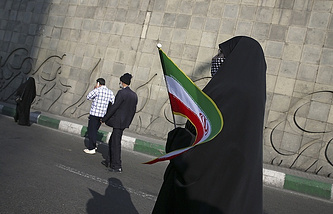 He promised to reinstate the previous anti-Iranian sanctions and even impose tighter ones. British Prime Minister Theresa May, Germany’s Federal Chancellor Angela Merkel and French President Emmanuel Macron urged all the signatories to the deal to stay committed to all of its provisions. Russian Foreign Minister Sergey Lavrov called the US pullout of the deal a violation of the UN Security Council’s resolution and noted that Moscow would seek to preserve the agreement despite Washington’s plans to reinstate sanctions against Tehran. In late June, Iran’s Press TV cited Deputy Foreign Minister Abbas Araghchi as saying that the UK, Germany, France and the European Union had vowed to put forward a package of practical economic measures to offset the US withdrawal, including those related to oil sales and transit.